Bermudagrass is one of the most popular turf grasses in the United States. Maya has a deep green color and forms a dense turf that tolerates and adapts to low mowing height. Released in 2012, Maya Bermudagrass performed well in the National Turfgrass Evaluation Program 2007-2012 trials. It is relatively weed tolerant and can withstand higher levels of foot traffic than some other grasses. Maya has great spring green-up, and is resistant to weeds and dead spots caused by lawn diseases. Maya even tested well on cold tolerance and didn’t die off in winters as far north as Virginia. What makes Maya so special is its price; it is a top-rated turf-type bermuda that everyone can afford. Select Size 5 lb.10 lb.25 lb. Uses: Maya is highly recommended for use in southern lawns, parks, golf fairways, and anywhere a high-quality turf is desired. It has great cold tolerance, drought tolerance, and traffic tolerance. When to Plant: Late spring plantings seem to be the best time for this variety. It needs warm weather to help the seeds germinate. 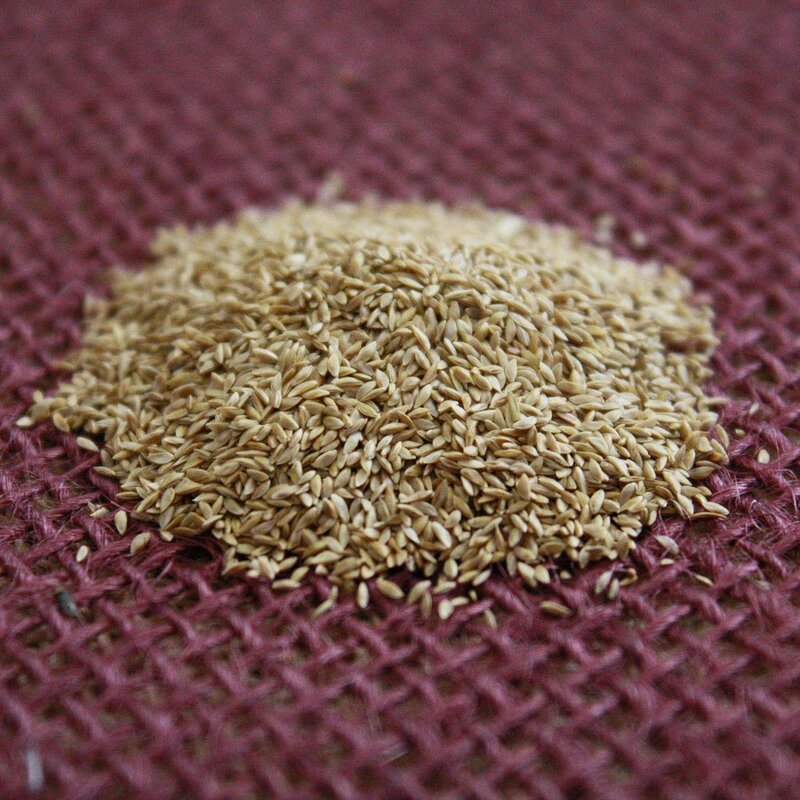 Planting Specifications: Sow Bermuda seed a 1/4 inch deep. Bermuda can germinate quickly, usually in 10—14 days. Under the proper conditions, it can become fully established in 60 to 90 days. Seed may not germinate if the soil temperature is too cool or too hot. Caution: It is very important to cover the seed with a thin layer of soil or mulch. Allowing the seed to sit on top of the soil will dry out quickly and cannot be kept moist enough to germinate. Fertilizer Recommendations: Bermuda thrives on fertilizer. After your lawn is established you should apply fertilizer to Bermuda two to three times during the growing season. We recommend that you do not apply fertilizer onto your lawn until after the second mowing. If you get fertilizer down too early, it could hurt the growing process. In April, it will start to come out of its dormant state. When it is about 50% green, apply a slow-release, high nitrogen, fertilizer to your lawn. Make a second application about six to eight weeks later or as directed on the bag. A third application in another six weeks may be desired. Apply a “winterizer” to Bermuda around October to prevent winter injury. Water Requirements: Seed beds should be kept moist until germination. For two weeks after planting try to water the seed beds 2-3 times a day, for about 10-15 minutes at a time, just to keep the top layer of soil moist. Keeping the seed bed moist is very important to starting your lawn, especially in the heat of summer. Mowing Height: Maintain Bermuda grass at 1 to 2 inches tall. The more you mow, the thicker and fuller your grass will become. Mow grass taller for more drought tolerance.